Last week, the International Energy Agency made a lot of OPEC brows furrow when it warned that 2018 may not be a very happy new year for the cartel. 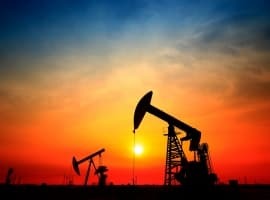 U.S. shale supply, the IEA said in its December Oil Market Report, is set to grow more than OPEC has estimated and this could be the undoing of the production cut that boosted prices this year. OPEC, for its part, has insisted that U.S. shale production won’t grow as much as the IEA says, baffling some observers who now wonder who they should believe. But let’s put it another way: If the coach of a football team tells you that his team will win the cup because they’re the best, but the football association has estimated that the team is not the best one in the league, who would you believe? OPEC has a history of underestimating U.S. shale. This underestimation led to the glut that sank prices in 2014. Now it stands to reason that the cartel is more cautious in its estimates of U.S shale oil developments, but this caution does not necessarily have to be reflected in comments. Let’s not forget that comments from OPEC officials—whether or not grounded in facts—have had a direct and immediate effect on prices from events such as the shutdown of the Forties pipeline network last week. Now, OPEC’s last forecast is that non-OPEC supply next year will rise by just 990,000 bpd next year to 58.81 million bpd, although the group does caution that any non-OPEC supply growth forecast involves considerable uncertainties regarding U.S. shale production growth. For the U.S. specifically, OPEC forecasts a 1.05-million-barrel daily supply growth next year, which will be partially offset by declines in producers such as Russia, China, and Mexico, among others. Sometimes OPEC’s forecasts sound like developments that the cartel can will into existence, and this market rebalancing forecast is one of these cases. It’s true that some OPEC members have been very diligent in their compliance to the lower production quotas. Others not so much, so those from the first group have actually cut more than they agreed to in order to compensate for the non-compliant ones. Can the overachievers continue doing this to ensure the forecast materializes? 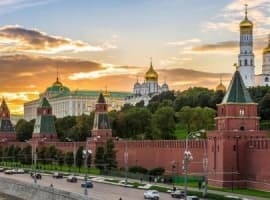 They can, but they can’t do anything about U.S. shale, and it’s uncertain whether Russia will stay in the agreement after the end of June: Moscow has indicated it would rather quit as soon as politely possible. OPEC also has another problem that’s been there since the original deal, but recently has been garnering more attention. With oil prices higher, how long until one or more OPEC members decide to drop the deal and cash in on the price increase? I would add EIA on top of OPEC and IEA. IEA, located at Paris, the Center of green socialists, it is no longer a professional energy agency, it is swamped by political hacks and their scientific sycophants. EIA, is a truly professional energy data agency, free data to all men. The only caveat is they tend to exaggerate the potential of shale oil, so be aware of the data provided in that regards. OPEC, is a purely commercial agency with the aim to max the profit for crude oil producers. My take, OPEC still has the up hand in swinging the world crude price, shale oil has very short life span, it comes and goes in a few years. Though most mainstream experts firmly believe the hypes of shale oil, so this is a God sent chance to make the biggest fortune of your life time if you dare to say: In Crude, I trust and bet my house on it! I believe OPEC. IEA represents major consumers of oi in the world (mostly western consumers) and it, therefore, tries to publish figures intended to depress oil prices. I have noticed time and time again that they pluck figures from thin air to suit their views. I am a keen observer of the global oil market as part of my research. 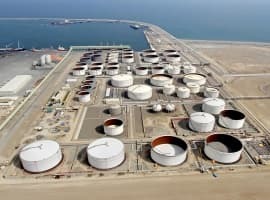 I have noticed that every time the oil price showed signs of significant rises as projected in 2018, IEA falsifies or exaggerates figures on rising US shale oil production, or declining global oil demand in 2018 or a huge build-up in US oil stocks except that all their figures are not true. So if the choice on research and integrity between IEA and OPEC, there is only one winner: OPEC. I believe OPEC rather than IEA . In my opinion, IEA tends to pluck figures from thin air to serve its political motivation, namely depressing global oil prices. Neither OPEC nor the IEA are correct. U.S. producers will outstrip both their expectation. They always do. The glut will continue the entire year, and lets just hope that OPEC and Russia will keep idling more capacity to keep oil in the $60 range which means the USA can benefit from the shale oil boom and get our oil out of the ground while OPEC/Russia let it set into the ground until increased Global production, increased renewables, prove to them that oil is plentiful and hoarding it is only hurting them because they are keeping a resource in the ground or in storage that will only bring lower prices in the future. They really don't get it, but the world has changed. Due to improved technology oil is now abundant, can be recovered at ever lower cost, brought to market much faster, and we are on a 30 year trajectory where clean energy and renewables will gain more and more market share at ever lower prices. I'm not a Global Warming alarmist freak, but putting less pollution in the air make sense, especially if renewable energy become clean, cheap, and plentiful. If I were in charge of Saudi Arabia I'd be selling my oil while someone still needs and wants it.